With skills shortages and employee retention cited as top HR concerns in 2017, CIPD Ireland has conducted some useful, timely research into these issues and other related issues. Though both are important issues in their own right, they also have a bearing on overall employee engagement and recognition. The same research project commented on employee turnover and the issue of staff retention. 50% of respondents reported an increase in voluntary employee turnover between 2014 and 2016. 44% of participating organisations expect this increased turnover of staff to continue into the foreseeable future. While this reflects an improving labour market in Ireland, it flags the issue for Human Resource Management. It highlights that support is required from the CEO and board of directors to respond to changes in staffing needs. The CIPD’s research shows that employee engagement is the top priority for HR in the short term. It is encouraging that companies appreciate the importance of employee engagement and are making plans to address the issue over the coming years. Engaged employees are more likely to stay, to go the extra mile and be a great example to their colleagues. Their research also highlights that HR needs to address other issues including the recruitment and resourcing of employees; a focus on performance management; and to have the tools to hand to change workplace culture. We interviewed Scott McCarthy, VC of Mary Browns, a food retail business in Canada. Their biggest problem was to stop trained employees from walking across the road to competitors for a small wage increase. The answer? To introduce a social recognition solution, which increased employee recognition and built a company culture of appreciation. Employee retention increased significantly and the company experienced a positive culture change. One way that technology can help address these needs is by using Social Recognition software. A Social Recognition platform can quickly build recognition across an organisation’s workforce. It allows individuals and teams to reach out to peers, managers – even senior managers. The technology provides real-time metrics, which assists HR to measure engagement levels. It also helps to build a workplace culture, linked to a company’s vision and values. In turn, each of these builds employee engagement. Research has shown that there are two current Human Resource Management concerns: the skills shortage and problems around employee retention. Building a culture of appreciation helps to shape an organisation in which everyone feels trusted, valued and recognised. Using technology like social recognition can help organisations to address employee recognition and build a strong and safe culture. 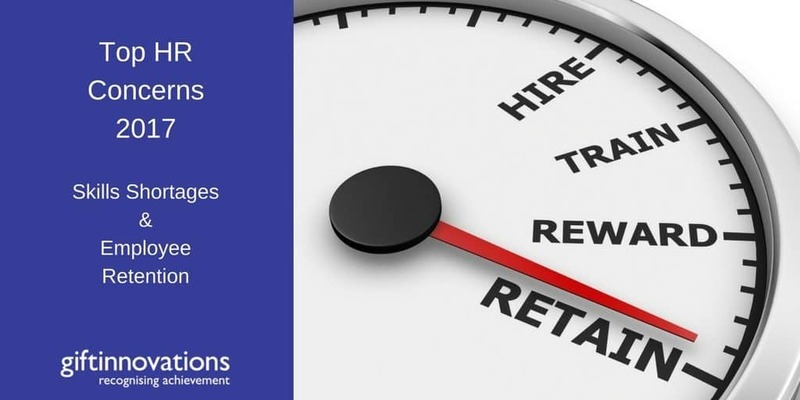 These organisations are able to retain their employees for longer, continually developing employee skill sets so that they reduce any prevailing skill shortages.